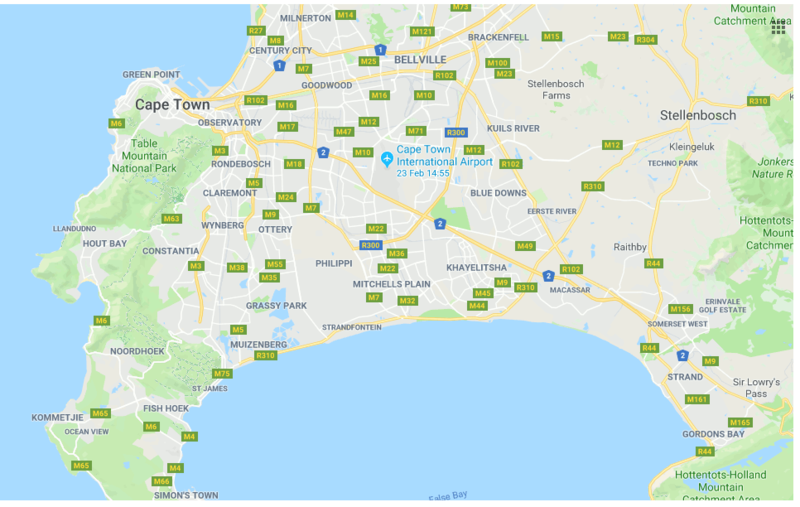 The nearest airport is Cape Town International (CPT). If you transit via Johannesburg make sure you collect your piece of luggage and check it in again. If not, it won’t follow you to Cape Town, one of these things with the way customs operate between international and domestic flights in South Africa. There are multiple airport shuttle services available. The rates from CPT airport to Stellenbosch are under R400 one way. Transportation for daily course routine is not necessary: the proposed accommodation options are within walking distance of the course venue. The conversion of South African Rand to Euro is currently about 15 ZAR/EUR. Mastercards and Visa credit cards work in shops and every ATM. Stellenbosch is located 50 km east of Cape Town, 35 km from CPT International Airport. The town has 150,000 inhabitants, about 10% of them are students. 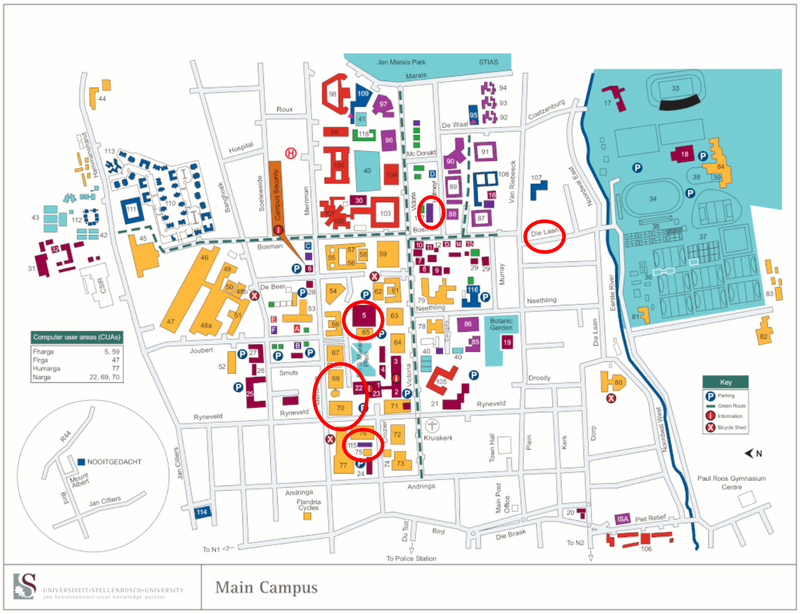 The campus is very central, all venues and accommodation are within walking distance of each other.